Today I did not use a recipe but made up my own. 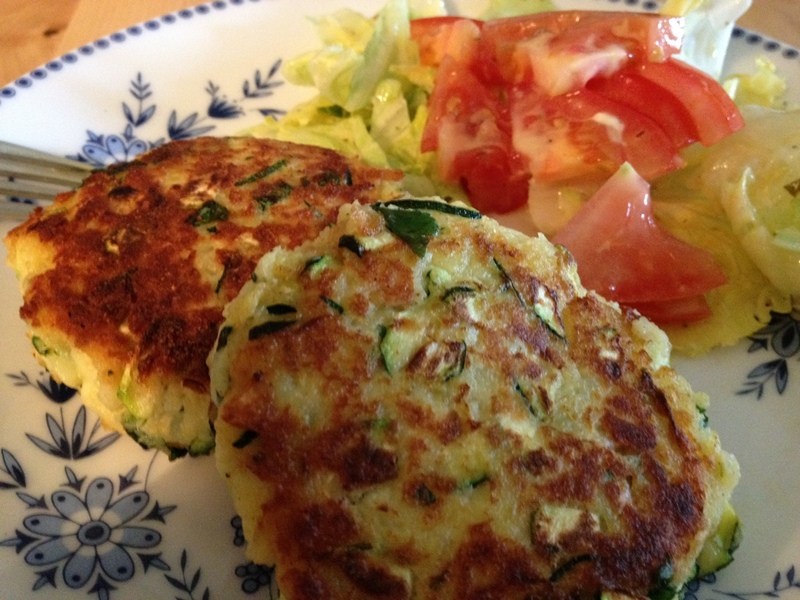 Potato cakes made with leftover mash, courgettes, coriander and cheddar cheese. 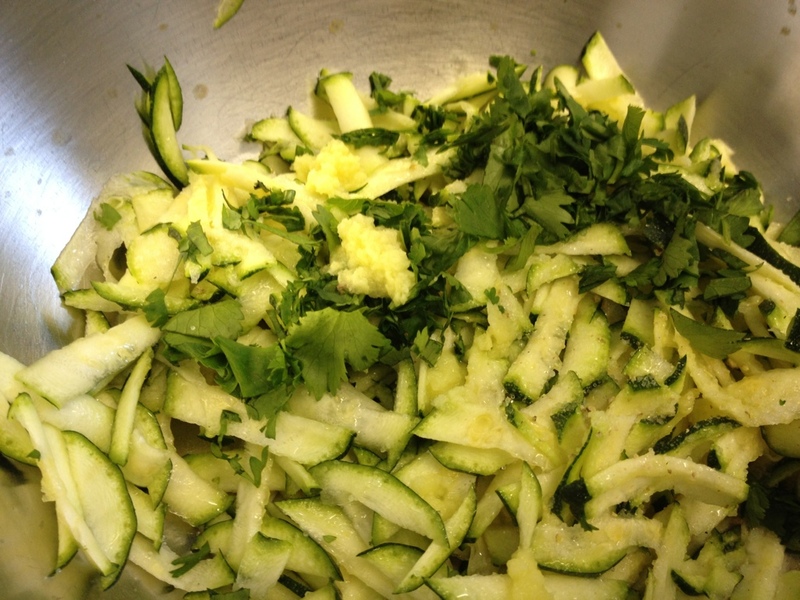 I started off by grating one medium sized courgette and seasoning it with salt, pepper and nutmeg. I also added chopped coriander (a handful). 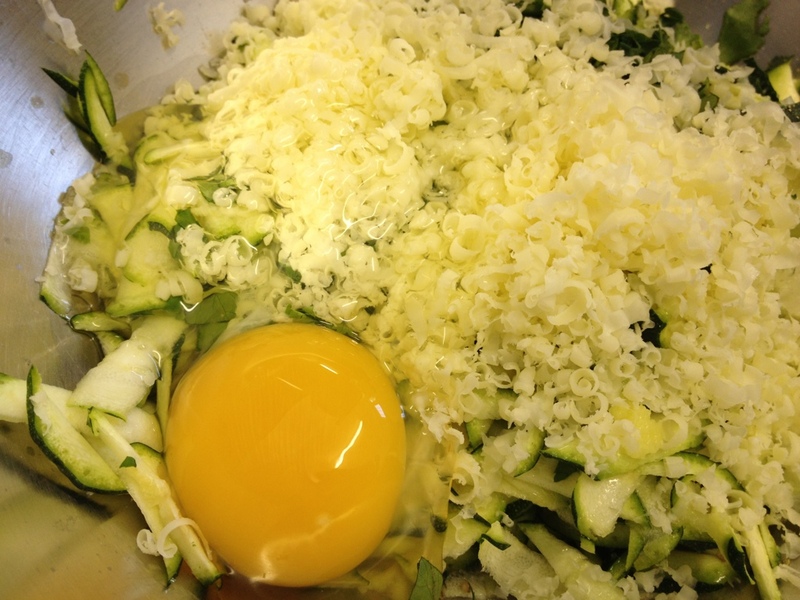 Next I added one egg, grated fresh ginger and grated cheddar cheese on top. 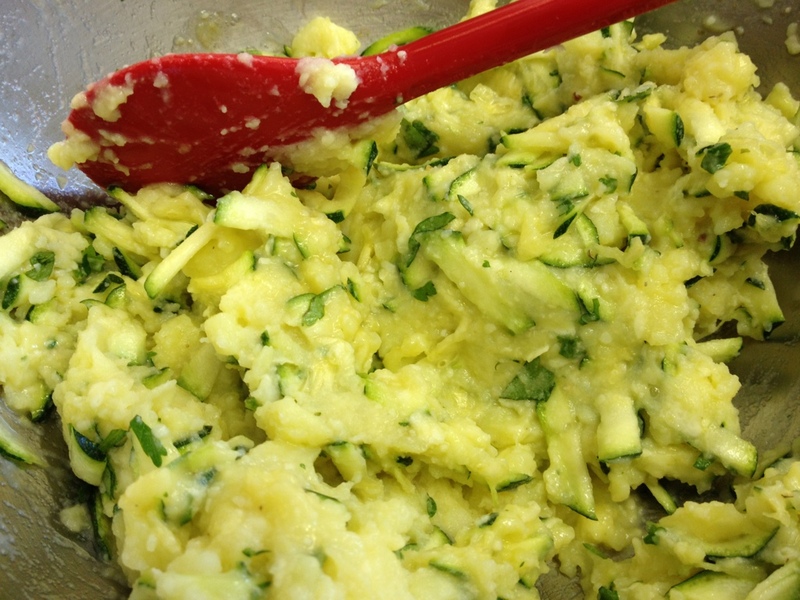 yesterday and mixed the other ingredients with the mash. 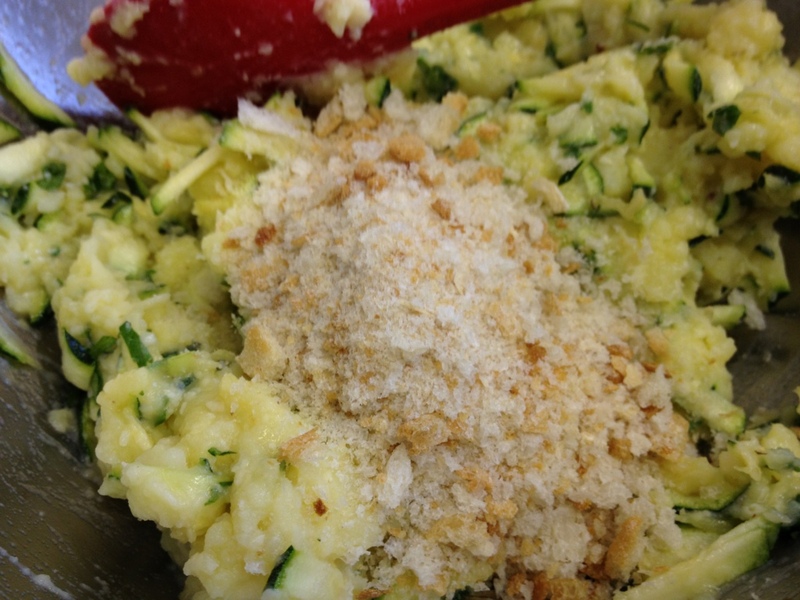 Because the mash mix was fairly soggy I added breadcrumbs. 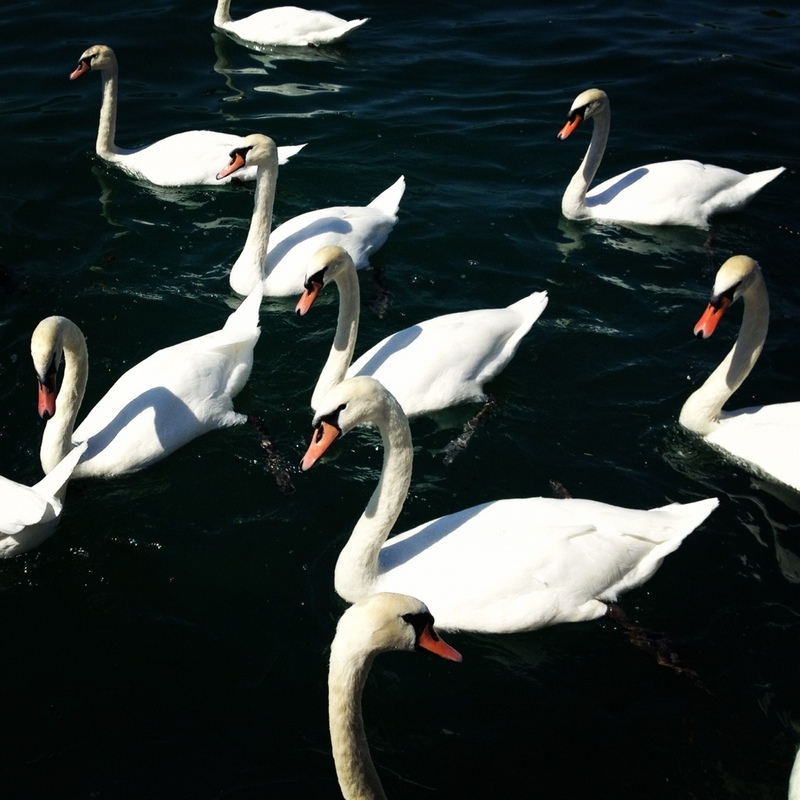 Luckily I had fresh breadcrumbs because my son and I went feeding the swans at the lake today. I find store bought crumbs simply vile. 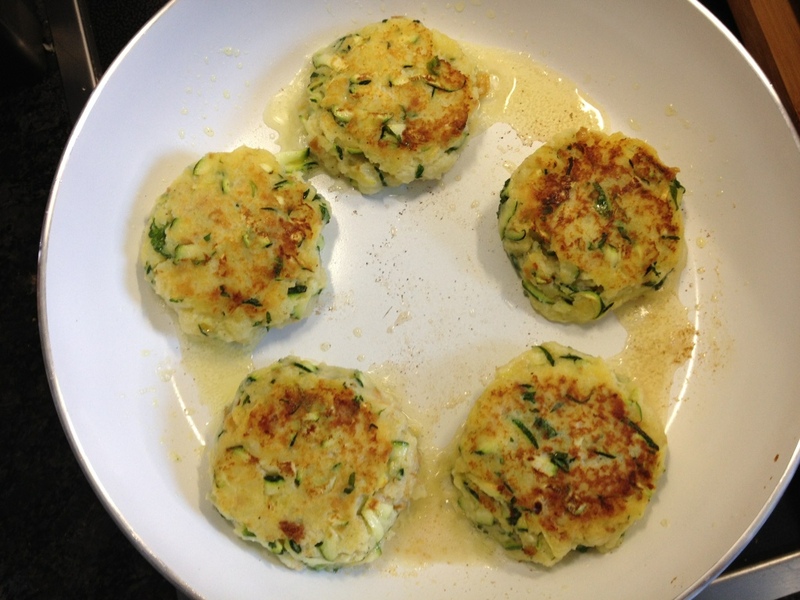 I shaped the potato mix into burgers and fried them in a little butter and olive oil. 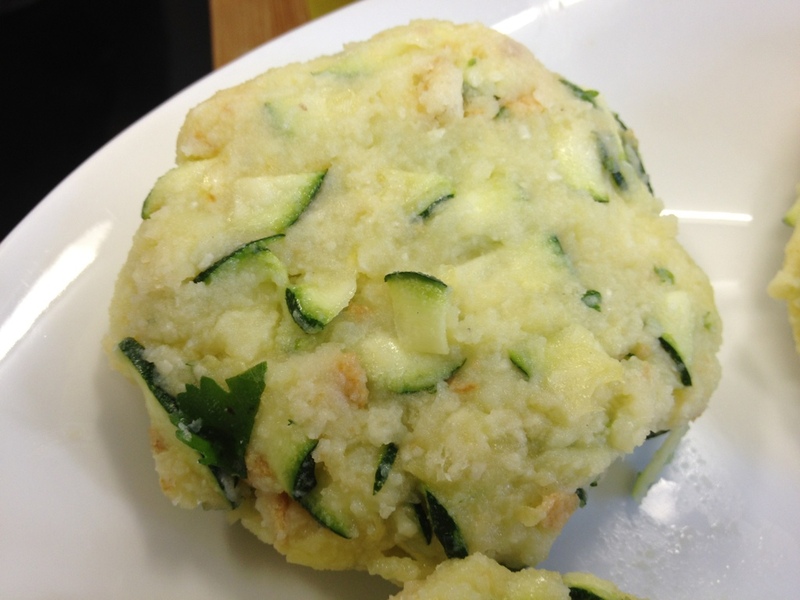 I served the potato cakes with salad.